Gerald Howarth MP v Philip M Pedley. 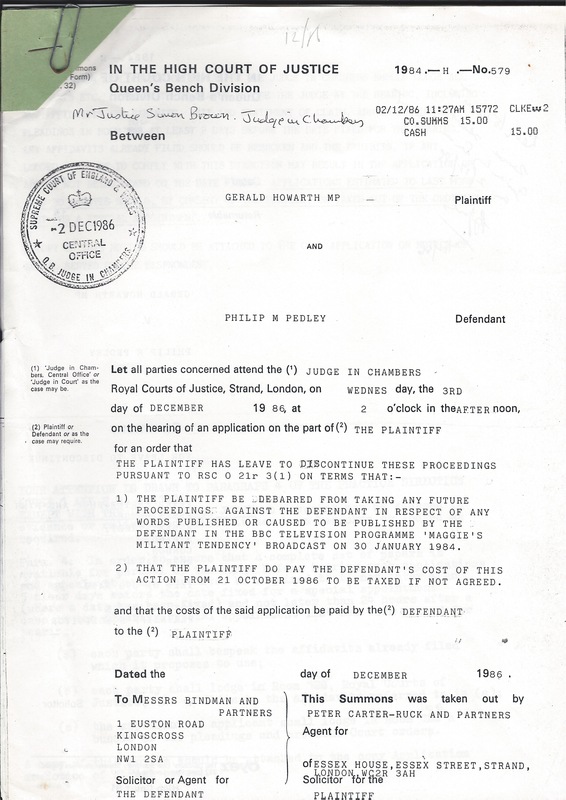 In the High Court Gerald Howarth sought to discontinue his action against Philip Pedley former National YC Chairman and a serving member of the Party’s National Union Executive Committee. Pedley refused to allow filing of discontinuance and forced a hearing in Open Court. 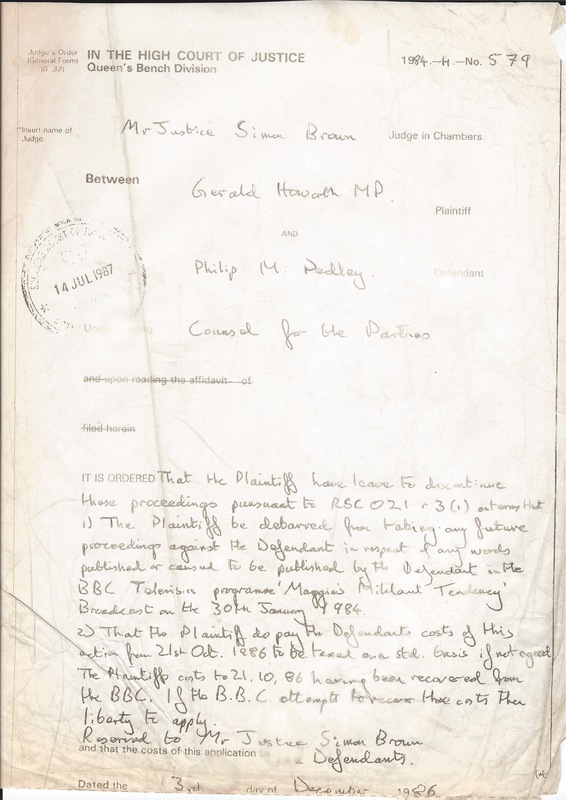 Pedley wanted recognition he had not libelled Howarth, that he stood by remarks, his costs to be paid and for Howarth to be debarred from alleging libel in the future. In other words the Judge gave Pedley the opportunity to apply his full costs against the BBC should the BBC request Pedley to pay the costs they’d covered. Pedley offered the BBC the opportunity to invoice him for the costs to save taxpayers money’s but they declined.